CEO Hakan Samuelsson said the move was dictated by customer demand. 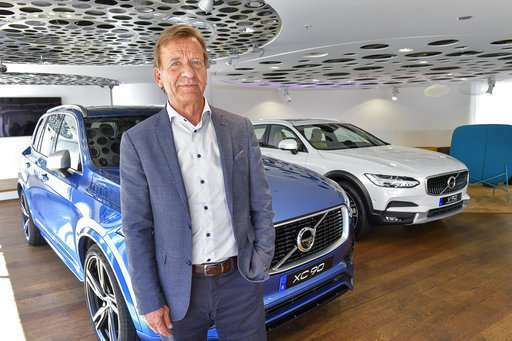 It means that in two years, all new Volvo vehicles will have some form of electric propulsion. The announcement comes as the global auto industry slowly moves toward electric-powered vehicles after more than a century of using engines that burn only fossil fuels. Even though sales are a fraction of conventional autos, companies must sell them to meet fuel economy and emissions regulations. In some markets electric vehicles are seeing increased demand. Yet the transition to fully electric vehicles will take years. Although Tesla Inc. has announced a $35,000 electric car for the masses and General Motors Co. is selling the all-electric Chevy Bolt for a similar price, less-expensive hybrids are likely to sell more at least in the short run. 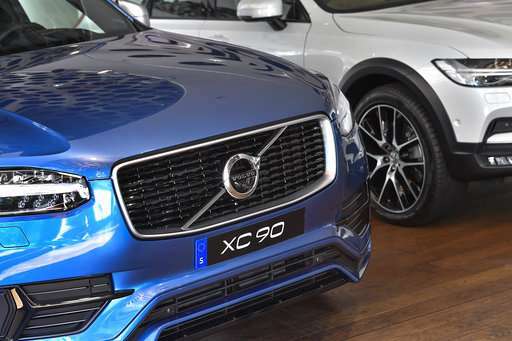 Still, other automakers are likely to follow Volvo's announcement in a few years, said Sam Abuelsamid, senior analyst for Navigant Research, with luxury automakers leading the way. "I think we'll probably see most of the premium brands do the same thing in roughly the same time frame," he said. "More high-volume mainstream brands will be a little slower." In order to meet government fuel economy requirements worldwide, automakers are developing more hybrid systems. Many are 48-volt "mild hybrids" that assist a gas engine to move a car to make it more efficient, improving gas mileage by 10 or 15 percent, Abuelsamid said. Such systems generate enough electricity to allow automakers to move functions such as air conditioners and water and oil pumps to electric power, getting rid of mechanical belts that are a drag on the engine. Those systems can run only when needed, and that can save another 2 or 3 percent on fuel consumption—so a vehicle that gets 20 mpg could get about another four miles per gallon, he said. European luxury brands such as Audi and Mercedes-Benz already are rolling out mild hybrid cars in Europe. Those systems likely will be coming to the U.S. because it's expensive for the companies to build different cars for different markets, Abuelsamid said. General Motors and others already have such systems as options on some models in the U.S.
All manufacturers are moving toward more hybrids, but the transition to 100 percent electric vehicles is still years away, said Darren Jukes, head of industrial products for the accounting firm PricewaterhouseCoopers. "I don't think we're seeing the end of combustion engines just yet," Jukes said. Fully electric and hybrid vehicle sales have risen a little since 2012 but still accounted for only 2.6 million, or about 3 percent of worldwide new vehicle sales, last year. Navigant predicts that will increase to around 3.7 million in 2018 and to more than 9 million by 2025. That's about 9 percent of sales. Volvo's announcement, coupled with some negative analyst notes and Monday's announcement of lower than expected production, weighed on Tesla's stock Wednesday. Shares of the Palo Alto, California, company closed down 7.2 percent to $327.09. 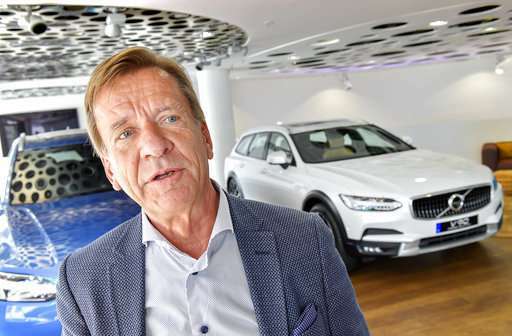 Volvo, which is based in Sweden but owned by Chinese firm Geely, will launch five fully electric cars between 2019 and 2021. Three of them will be Volvo models and two will be electrified cars from Polestar, Volvo Cars' performance car arm. It also plans to offer a range of hybrids as options, expecting to sell 1 million electrified cars by 2025. The company said its long range models could travel 500 kilometers (310 miles) on a single charge using current technology, but it is looking for suppliers of new and better batteries. Samuelsson, who acknowledged that the company had been skeptical about electrification only two years ago, said circumstances have changed. "Things have moved faster; customer demand is increasing," he said. 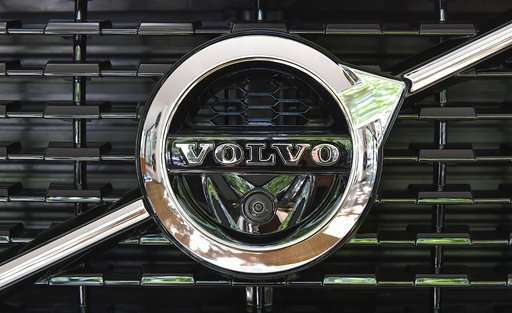 Last year, Volvo sold 534,332 cars in 100 countries, up more than 6 percent from 2015. Impractical. Fueling a gasoline car takes 3 minutes. Electric cars will NEVER be able to match that.